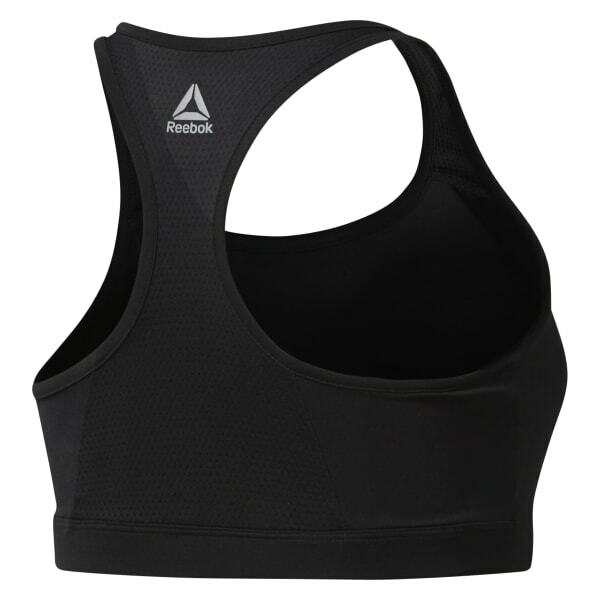 We designed this essential sports bra for you to keep in your gym bag at all times. The racerback design made from recycled fabric gives you freedom of motion and peace of mind in the studio. Speedwick technology wicks away sweat during intense sessions, and side slings provide extra support during your weekly workout routine.